The gravity is so low that just by trying to spin the wheels you would push yourself off the ground and fly through space above the comet until you eventually hit the ground again. Even if you configured the wheels for maximum possible grip, the top speed and acceleration you could achieve would be so amazingly low, and the vehicle so complex, that it would be impractical. If you want to move around, just have a normal spacecraft with thrusters, since the comet is practically a zero-g environment. Big difference depending on whether it hits at 11 or 73 km/s. Not for LA, though. It won't, because its perihelion distance is well outside of Earth's orbit. If we somehow changed its orbital parameters just enough to intersect Earth's orbit and collide with us, then it would impact at ~20km/s, release ~20 gigatons TNT equivalent energy, and if it hit LA, would obliterate it and everything else within ~100 kilometers. Bad as that might be, it would be a lot worse if it was the same size/speed asteroid. 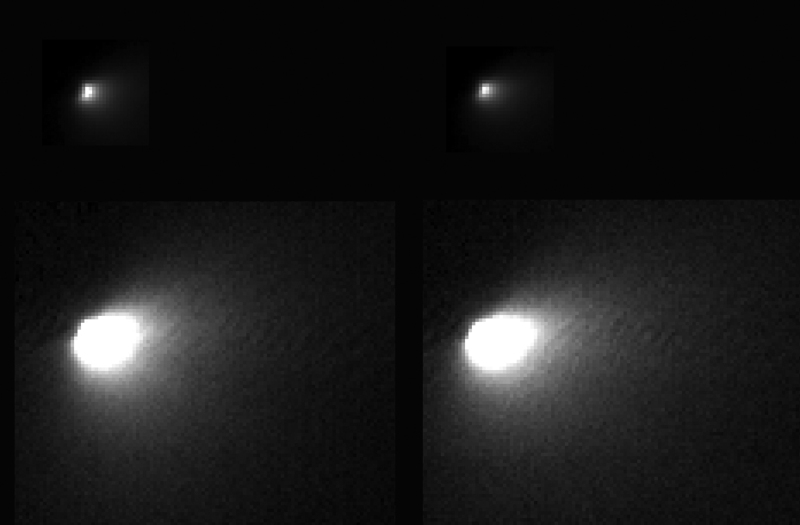 The comet's density is very low as it is only a very loosely consolidated body. 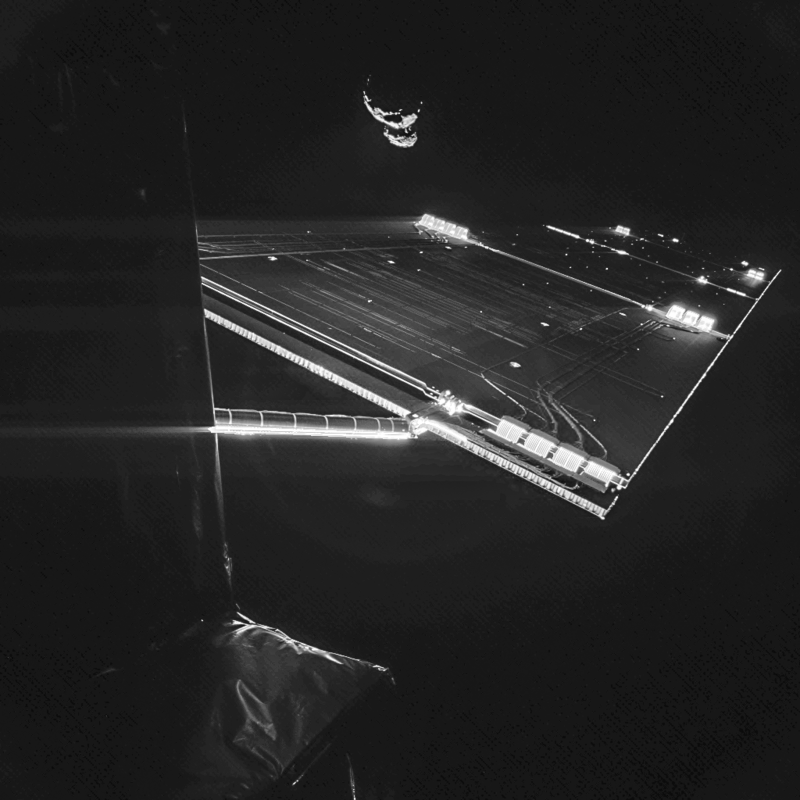 Photo of 67P with Rosetta spacecraft elements in the foreground, taken by Philae. I've been trying to refine the orbit of Siding Spring in Space Engine, to more accurately reflect reality (SE's version's closest approach to Mars is 500,000km, when in reality it'll pass about 70% closer, I believe). I've tried various sets of orbital elements from around the web, but they're all wildly inaccurate in-game, with the comet AU away from Mars on the 19th... does anyone have any advice? 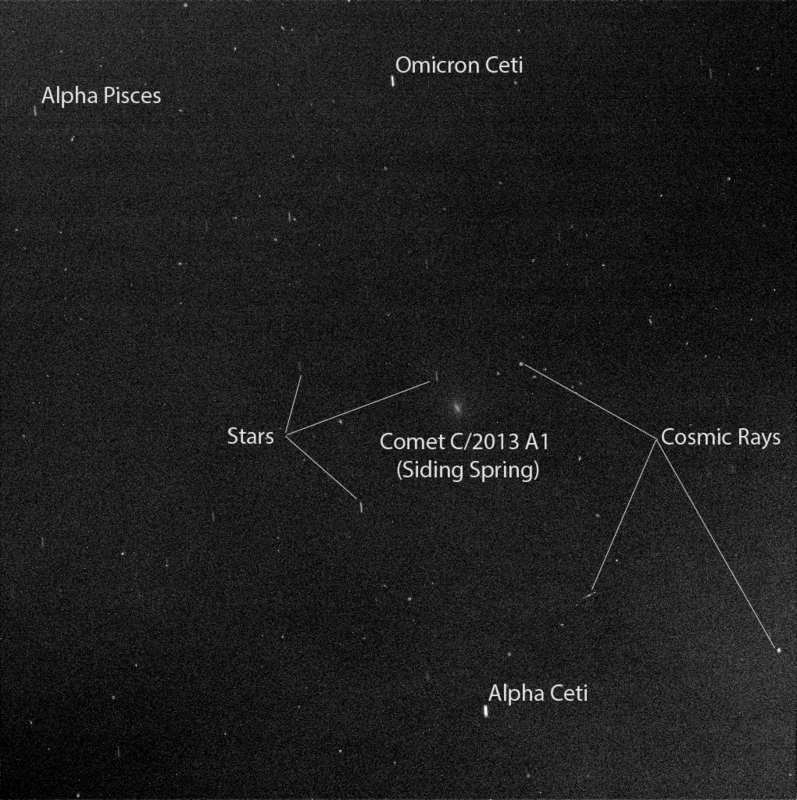 Comet "Siding Spring/C2013 A1 (Siding Spring)"
I always love these style of images. It gives context, almost a feeling of actually being there. You can name Philae's landing site. Me too! Best of luck. What name did you propose? My submission was Collis Philarum (Philae's hill). 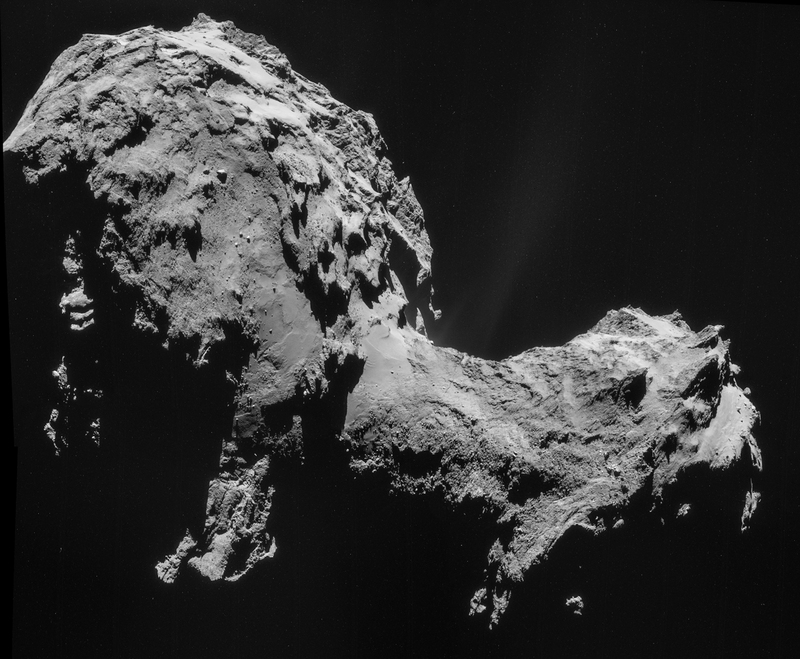 Which seems logical to me, since Philae is what the place will be remembered for. Collis simply because I couldn't think of many ways to describe a part of a comet like that. And I chose a Latin name because it's a old tradition to give Latin names to places on solar system bodies.